As our adoption of cloud computing grows, SD-WAN is fast becoming the future of the enterprise WAN. Storage and backup in the cloud, Unified Communication-as-a-Service (UCaaS), and Software-as-a-Service (SaaS) are just a few examples of the great migration to the cloud. SD-WAN offers significant advantages over a traditional WAN infrastructure because it moves away from the conventional hub and spoke network design. In the hub and spoke designed WAN, traffic is backhauled through the enterprise data center, and it relies on private circuit MPLS links. On the other hand, SD-WAN allows for a network overlay with multiple links to form a unified pool of bandwidth. SD-WAN supports MPLS plus other reliable and cost-effective connectivity sources like cable, DSL, and wireless 4G LTE. A software-defined network is ideal for supporting the delivery of cloud-based services because it eﬃciently routes data traﬃc across a WAN by choosing the access connection for optimal performance. Let’s take a look at how and why 4G wireless connectivity complements SD-WAN and how you can help customers leverage it to reduce costs and increase flexibility – making money for you at the same time! Ideal for traditional ‘branch’ deployments and more – SD-WAN is ideal for branch deployments because it includes centralized management across branches with the ability to select the optimal connection for each application. These capabilities are important because the term ‘branch deployment’ can cover a myriad of deployments. Besides traditional branch offices, businesses may need fast, reliable connectivity for fleet vehicles, pop-up stores, mobile facilities, surveillance cameras, or digital signage and kiosks, for example. Because SD-WANs combine MPLS quality and lower cost internet, including wireless, regardless of the deployment organizations can keep their applications connected and running smoothly. SD-WAN also provides the ability to select network technologies on a site-by-site basis, helping achieve the optimal balance of performance, security, and cost. Zero-touch deployments – SD-WAN coupled with 4G LTE wireless also simplifies deployment. 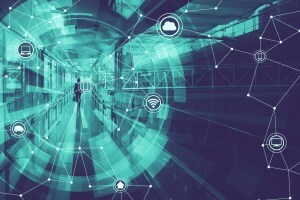 IT organizations don’t have to dispatch IT staff to a remote location to deploy an SD-WAN router at a new branch, or to provide connectivity for an Internet of Things (IoT) device, like a remote sensor at a plant, for instance. Instead, using an SD-WAN router and wireless connectivity, an office manager can plug in the new router, and they have connectivity! Cloud-based management – Because SD-WAN technologies are software-defined, management is also done remotely through the cloud. These cloud-based platforms give teams the ability to provision, troubleshoot, and manage connectivity and applications on the network from a web-based interface. Network managers and have peace-of-mind knowing they have a single pane of glass for device management and SD-WAN control. Smart traffic routing – SD-WAN can optimize the best path for network traffic, leveraging smart-traffic routing, policy-based traffic prioritization, filtering, and traffic shaping. A software-based based platform enables teams to keep an eye on all connected endpoints across the network. SD-WAN is one of the fastest growing network solutions because of its benefits around reducing costs, increasing flexibility, and centralizing control across the WAN. It aggregates multiple connections, including 4G LTE wireless, to steer application traffic leveraging diverse wireless bandwidth when needed. Talk to Broad Sky Networks about how you can help your customers leverage the power of wireless within their network for diversity, flexibility and peak performance!